A clean house makes me happy but I hate cleaning. That's why no matter what Hubs and I agreed that it was a necessity to have a house cleaner every two weeks. However, although we do not wear shoes in the house, the kiddos (and Hubs) seem to leave crumbs everywhere on a daily basis. This annoys me as I don't like picking up random food on my bare feet so I was excited to try the Dyson DC65 from Best Buy. 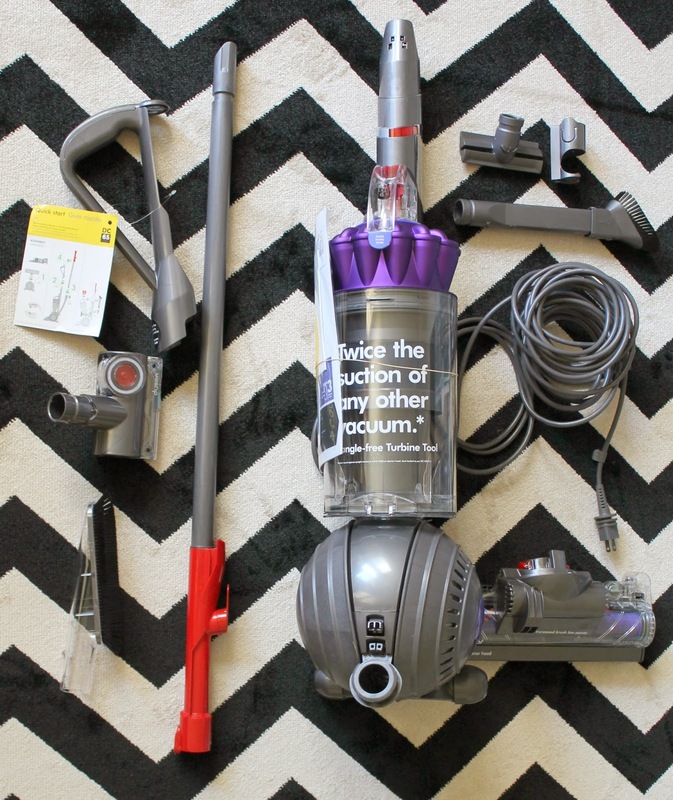 I have tried many vacuums and none stood up to the Dyson DC47 that my brother bought from Best Buy for my birthday several years ago. It has even been borrowed by friends and they were impressed. 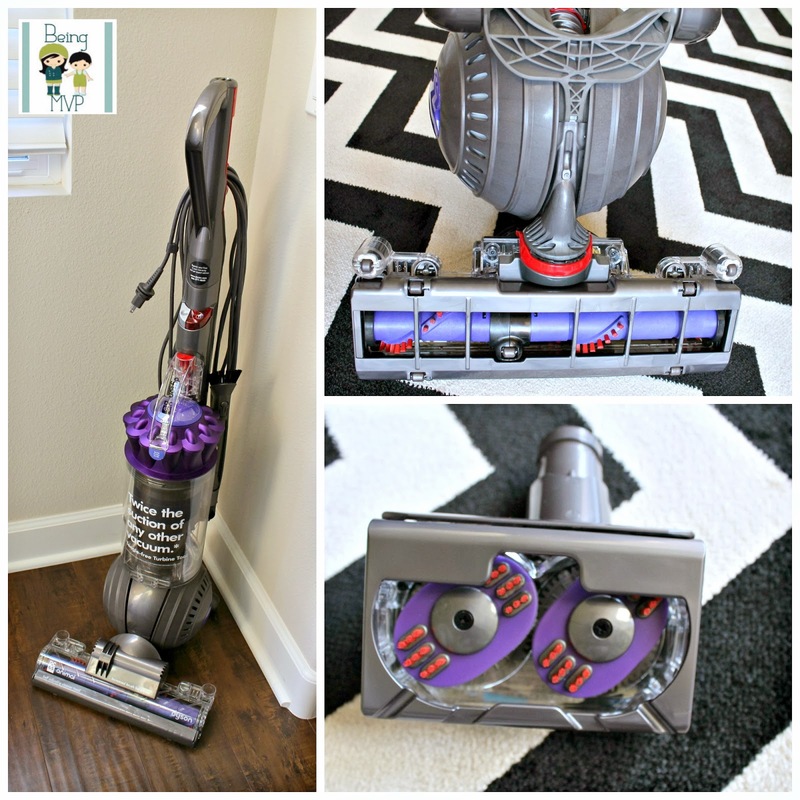 Dyson truly cleans better than any other vacuum over my hard floors and rugs. The only issue is that since I live in a 3 story home currently, I want a Dyson vacuum on every level! 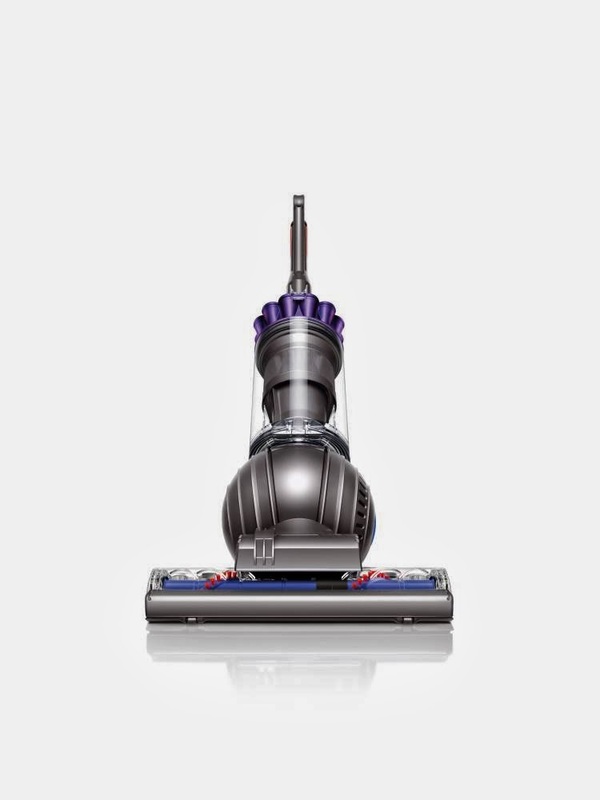 The Dyson DC65 Animal Bagless Upright Vacuum is brand spanking new and is available everywhere now. The brush bar power has been increased by 25% for superior carpet cleaning and the new configuration of bristles dig deeper into carpets to remove more dirt. Although I don't have carpet, I have several rugs of different depths with crumbs from the kids spilled on them so this is a great feature. I have the most horrible allergies and thus I try to keep the house as clean as I can. 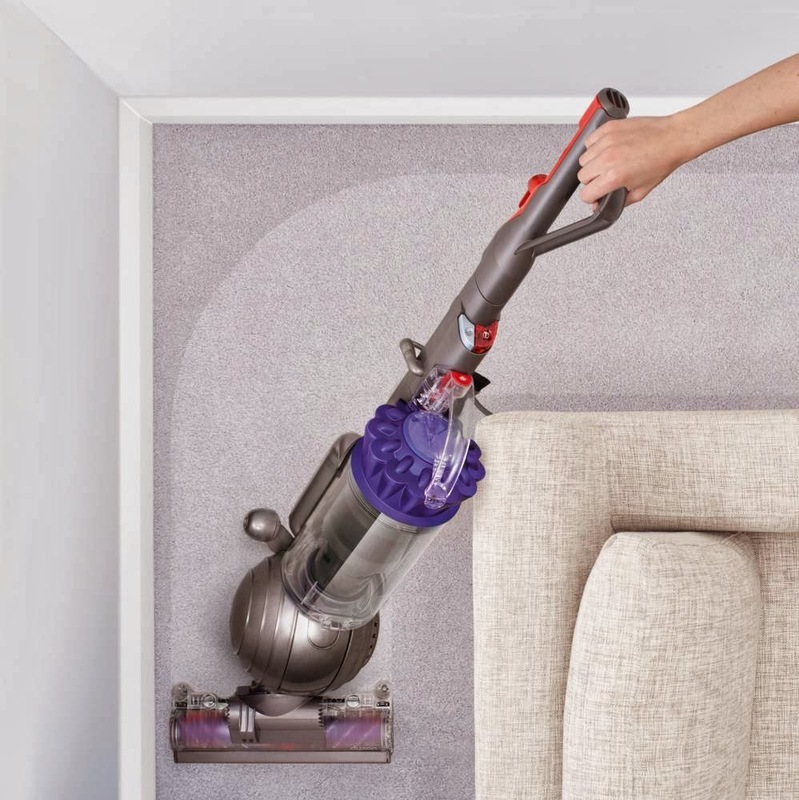 The remodeled airflow of the Dyson DC65 helps remove more dirt, dust and allergens from the home. While we don't wear shoes in the house, the entry from the garage to the first floor where we place some of our shoes gets grimy. I am so glad that I can vacuum up the dirt and grime in a jiffy to keep it from spreading to the other floors. The closer edge pick up is amazing. I can get to the places that even the house cleaner misses. This is a must because who knows where the kiddos leave miscellaneous bits of food. No joke - Mason even puts some food inside the play kitchen and let's just say that it's not pretty when I find it later. You can even use the dusting brush to get blinds and/or curtains. One of my favorite features is the long-reach telescopic wand. I've never had a vacuum with this feature and it is a must have when you have stairs, especially with as many stairs as I have. I don't usually vacuum the stairs because I don't want to stop and pick up my (albeit fairly light) vacuum every few steps. I leave it to the day when our cleaner arrives. However, since I virtually vacuum the living space most everyday, I notice that there are bits of lint and other things lurking on the stairs throughout the week. Although we have wood stairs, I had to place carpet treads for the safety of the kids (and Hubs). I can easily leave the Dyson DC65 body at the bottom of the stairs and trek up with my handy telescopic wand (and stair tool). It reaches all the way to the top with ease and suctions with great power. Although there is an initial investment in the beginning (Multi-Floor $499, Animal $599, Animal Complete $649), this Dyson vacuum is built to survive 10 years! How amazing is that? It cleans better than any other vacuum across carpet and hard floors. For a cleaning beast of a machine you are getting a fantastic deal.